Catch the attention of hungry fair and carnival-goers with this Carnival King qt. 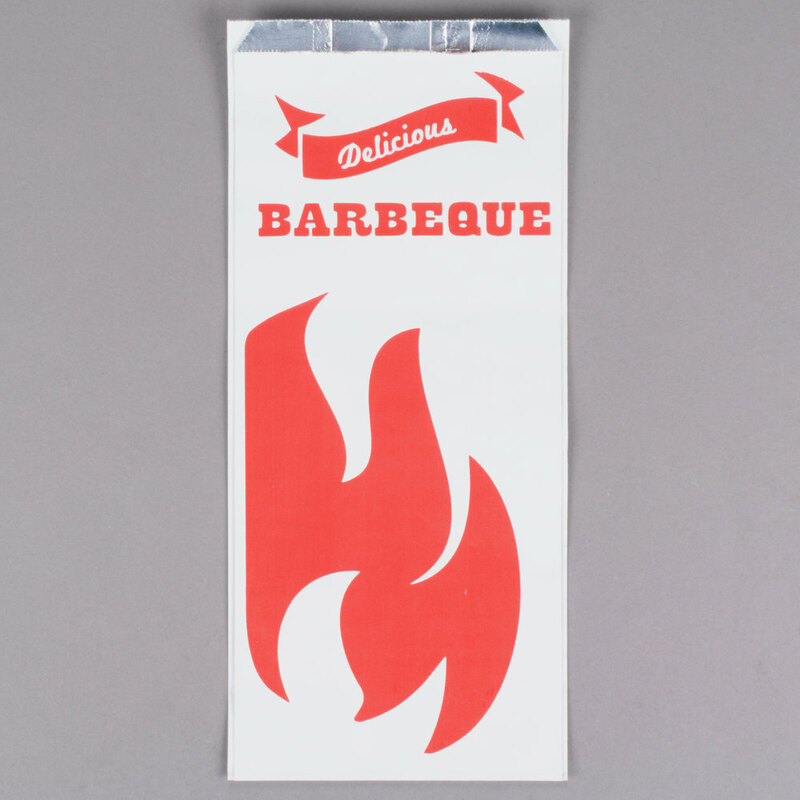 size foil BBQ bag! This bag features an eye-catching red flame design with a bold "Barbeque" logo. The bright white background ensures a crisp, clean appearance that your patrons will appreciate. This bag's non-vented design provides excellent heat and moisture retention. Your take-out chicken or ribs will stay hot and juicy all the way home. It's also the perfect size for half a rotisserie chicken!